The Data Science Institute launched its 5th Year Anniversary on Monday 1st April with a sold out lecture by Andrew Ng on "Emerging Trends in AI and Online Education". The Data Science Institute was formed in April 2014 by director Professor Yike Guo with the mission to foster, advance and promote excellence in data science research, education and application across all domains for the benefit of society. Over its five years, the Institute has successfully built strong networks and collaborations both nationally and internationally with industry, academia and government bodies. Its main achievements to date include building the Europe’s largest visualisation suite - the Data Observatory, setting up joint Academic Labs with several leading international industry organisations and being the hub of Imperial College data science research and education. To recognise this key milestone, over the course of the next 6 months the Institute will be hosting a high profile and engaging Distinguished Lecture series delivered by world-leading academics in the field of data science and AI. The celebrations will culminate with a 2-day data science extravaganza in October 2019. Professor Yike Guo, Director of the Institute says "I am immensely proud of the Data Science Institute and what we, as a College rich in data science, computing and mathematics knowledge, have managed to achieve over the past 5 years. We have published over 300 papers and, thanks to its many research collaborations both across College and with a variety of academic and industry partners, the DSI has established itself as an international hub on data science". IROP is a summer exchange programme offered jointly by the Massachusetts Institute of Technology and Imperial College London. Imperial and MIT undergraduate students spend eight weeks working on a research project, under the supervision of faculty members at MIT and the Department of Computing at Imperial College. Helen Xu working with Prof. Will Knottenbelt. The EIDES ranks the 28 EU Member states according to the level of digital and non-digital entrepreneurial infrastructure in each country, the UK came in at sixth place and Denmark offers the best condiditions for digital start-ups. On the 21st February 2019, the DSI welcomed Princess Eugenie, co-founder of the Anti Slavery Collective, for a tour of the Data Observatory. PhD researcher Philip Nadler (first right in the photo below) presented to the Princess the DSI visualisaton on BlockChain. We were honored to welcome Princess Eugenie to the DSI and hope she found her visit insightful and rewarding. Gliomas are a range of devastating and progressive brain tumors affecting around 25,000 people each year in Europe and responsible for the majority of deaths from primary brain tumors. Nine research institutes and three private sector organizations have joined together to address this problem as Project AiPBAND (An Integrated Platform for Developing Brain Cancer Diagnostics Techniques), with its mission to improve technologies for the early diagnosis of brain tumors using molecular biomarkers in the blood. The project has been funded under Horizon 2020, the EU's research and innovation program as a Marie Curie Innovative Training Network (MSCA-ITN). The grants themselves are awarded to the host organization, usually a university, research center or a company in Europe to promote interdisciplinary research, intersectoral and international collaborations in advancing fields of science. To achieve the goals of this project, a new generation of entrepreneurial and innovative Early Stage Researchers (ESRs) will be trained in the multidisciplinary techniques and advanced technologies necessary for developing innovative glioma diagnostic techniques. The ESRs for each participating member have now been selected, and met for the first time during the 24th-28th September 2018 at the Regina Elena National Cancer Institute in Rome where they heard talks on the current status of brain cancer studies in neuroscience, bioinformatics, healthcare and socioeconomics. Imperial College is one of nine research institutes and three private sector organisations in Project AiPBAND (An Integrated Platform for Developing Brain Cancer Diagnostics Techniques), with its mission to improve technologies for the early diagnosis of brain tumours using molecular biomarkers in the blood. Professor Yike Guo leads the project section based at the Data Science Institute at Imperial College London. He has selected Xiaoyu Zhang as the ESR to be responsible for developing a Big Sensing intelligent warehouse for translational and clinical diagnosis study. Xiaoyu will design and implement a data warehouse based on the microservices architecture and NoSQL database technology to process variable biomedical data with an interface for high performance computing. By applying state-of-the-art machine learning and deep learning algorithms, a mixture Bayesian prediction model will be developed to support more accurate clinical decision-making for the diagnosis, prognosis and monitoring of gliomas. An intelligent information management system will also be developed to efficiently discover and extract hidden knowledge of brain cancer. The projects main website can be found at https://www.aipband-itn.eu/, where regular project status updates will be posted. Today many of us use our smart phones for almost everything; paying for coffee, bills and texting our friends etc. Dr Yves-Alexandre de Montjoye assistant professor at the DSI, has shown in his recent paper published in Nature, how the breadcrumbs we leave behind when using our mobile phones contain unprecedented insights about us and our societies. Researchers have compared the recent availability of large-scale behavioral datasets, such as the ones generated by mobile phones, to the invention of the microscope, giving rise to the new field of computational social science. In the article it is proposed to use four models for the privacy-conscientious use of mobile phone data which it is hoped will help properly balance technically the need to use this data for good and the legitimate privacy concerns of individuals and societies. Congratuations to DSI PhD student Philip Nadler, for winning the inaugeral Algothon, a Machine Learning and quantitative finance hackathon at BlackRock . Algothon is the UK's first major 24-hour machine learning and quantitative finance hackathon and is run by Imperial College Algorithmic Trading Society in conjunction with BlackRock. Over 200 participants attended the event, with accompanying talks from world-leading researchers in the field. Philip and his team won the NLP challenge, in which participants had to use sentiment analysis and high frequency trading data of an unidentified time series to generate a long out-of-sample forecast. We are very pleased to announce that Mo Yuanhan Ph.D. student at the DSI, received the prestigious Young Scientist award at this years MICCAI (Medical Image Computing and Computer-Assisted Intervention) conference for his paper on "The Deep Poincare Map: A Novel Approach for Left Ventricle Segmentation." We are proud to announce that Professor Yike Guo, the Director of the DSI, has been elected to be a Fellow of the Royal Academy of Engineering, joining nearly 1,600 other world-leading engineers from both industry and academia. Becoming a Fellow of the Royal Academy of Engineering is one of the highest honours that an engineer can receive in the UK. It recognises outstanding and continuing contributions to the profession. The Academy's Fellowship represents the nation’s best engineering researchers, innovators, entrepreneurs, business and industry leaders. Election to the Academy is by invitation only; about 50 Fellows are elected each year by peer review from nominations made by existing Fellows. They are distinguished by the title Fellow of the Royal Academy of Engineering and the postnominal FREng. Professor Guo said: “I am delighted and deeply honoured to have been elected as a Fellow of Royal Academy of Engineering. I have been working at Imperial for more than 30 years, during which time my work has benefitted greatly from the College’s culture of interdisciplinary research". Dr Miguel Molina-Solana, Research Fellow at the Data Science Institute, is one of 30 participants taking part in this year's Marie Skłodowska-Curie Actions: The Falling Walls Lab, which is an international forum for the next generation of outstanding innovators and creative thinkers. Its aim is to promote exceptional ideas and to connect promising scientists and entrepreneurs from all fields on a global level. Miguel will be pitching to an audience of 200 people about his research project DataSound. KDD 2018 is the 24th SIGKDD Conference on Knowledge Discovery and Data Mining, one of the world’s largest and best Data Science conferences. Starting in 1989, KDD is the oldest & largest data mining conference worldwide and this years conference in London has a record number of delegates (3300) from 99 countries. For more information on the KDD conference 2018 watch the video below. On August 16th the DSI were delighted to welcome Lord and Lady Bates. Professor Yike Guo gave a demonstration of live bitcoin transactions to Lord Bates. Professor Sanjeev Gupta from the Department of Earth Science and Engineering was filmed at the DSI Observatory by the BBC 4 TV programme the Sky at Night on the 8th April 2018, the programme is available to view on the BBC IPlayer until 12th May. The Duke of Cambridge visited the College’s Data Science Institute(DSI) on the 6th October 2017 to see the impact of the Heads Together Campaign displayed in the Data Observatory (DO) – the largest facility of its kind in Europe. For the past two months, Imperial experts from the DSI and the Department of Mathematics, along with representatives from Heads Together, have been analysing YouGov data on emerging trends in relation to attitudes to mental health. Heads Together is a mental health initiative spearheaded by The Duke and Duchess of Cambridge and Prince Harry. It aims to tackle the stigma associated with mental health and inspire people to talk more openly about mental wellbeing. The team of Imperial researchers who analysed the data included Professor Yike Guo and Drs Xian Yang and David Birch from the DSI. Ms Sarah Jones, a research postgraduate from the Institute for Global Health Innovation at Imperial and an advisor to the Royal Foundation, also assisted, along with Professor Michael Crawford, from the Division of Brain Sciences, and Dr Reza Drikvandi, from the Department of Mathematics. Around 14,000 responses from 6 surveys were analysed by the team. Following a warm welcome from Professor Alice Gast, President of Imperial, and Sir Keith Mills, President of the Royal Foundation, Prince William visited the DO. The DO's 64 screens and 130 million pixels of surround vision provided an interactive backdrop for the presentation, which showed the progress of the campaign since its launch last year. As part of the data visualisations, Miss Jones talked about the changing trends in the nation’s behaviour and attitudes around mental health. 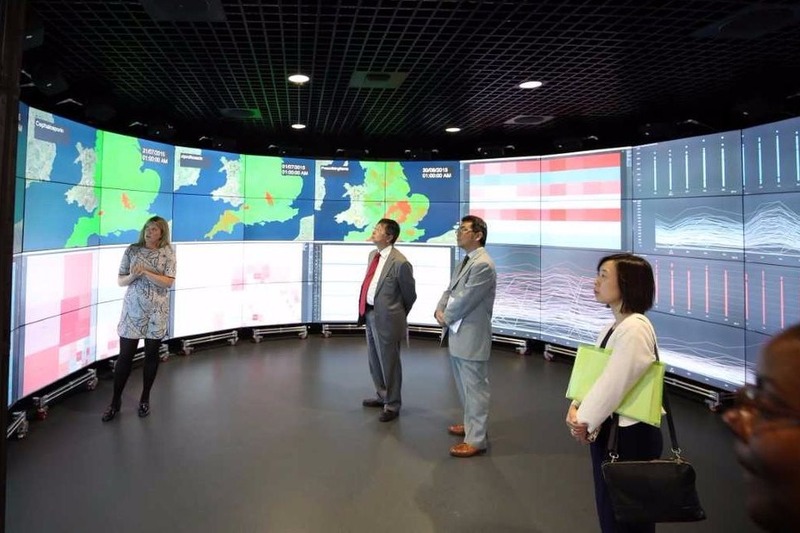 Opened in November 2015, the DSI's DO provides an opportunity for academics and industry to visualise data in a way that uncovers new insights and promotes the communication of complex data sets and analysis in an immersive and multi-dimensional environment. Following today’s presentation, the Heads Together campaign will now focus on providing support to help people have those conversations, focussing on schools, workplaces, and the military, alongside other projects to be announced over the coming year. At the end of June, the DSI welcomed a visit from the Duke of York, who visited previously with the President of China in 2015. 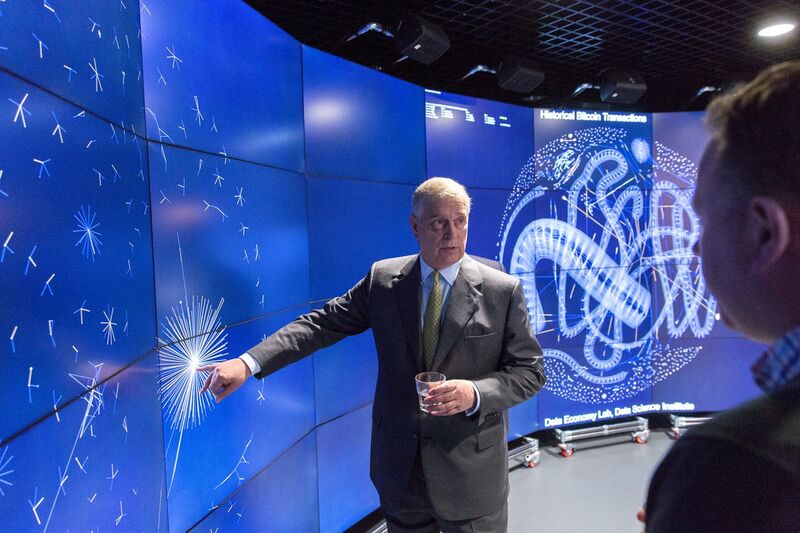 During his visit, Prince Andrew was presented with a range of research developed by the DSI in order to showcase the breadth of exciting Data Science research taking place. Mr. Florian Guitton demonstrated our TranSMART platform, showing how this will provide novel insights into personal medical treatments through its ability to collate, organise, analyse and visualise large amounts of medical data. Dr David Birch went on to present to him how the DSI tackled one of the greatest challenges for industry: how they use the wealth of data available to understand their customers and predict future trends. Featuring two of our collaborative research projects, Dr Birch showed a predictive map of air pollution over St. James' Palace area and a neuromartketing analysis for advertising design using brain monitors. After meeting the HNA group and the signing of the HNA-DSI partnership, Dr Dan McGinn explored the future of blockchain technology with a demonstration of live bitcoin transactions. Lastly, Prince Andrew was presented with the skills and entrepreneurship themes of our institute. Professor Will Knottenbelt explained how we are working with other Imperial alumni start-ups in the bitcoin/blockchain space. Following this, the Duke of York was taken on a trip to Mars with Professor Sanjeev Gupta. We were honored to welcome Prince Andrew back to the DSI and hope he found his visit insightful and rewarding! The Secret Science of Pop: Evolutionary biologist and Head of our Social and Cultural Analytics lab, Professor Armand Leroi, believes data science can transform the pop world. Asking the question, "Can algorithms find the secret to pop success? ", Armand and hit producer Trevor Horn try to take a song and turn it into a potential chart topper. Check out "The Secret Science of Pop", filmed inside the GDO, which is available to watch on the BBC4 website. What happens inside the brain of a gambling addict? BC Panorama film an experiment designed to reveal how the brain of a person addicted to gambling differs from that of others, featuring the Data Observatory here at the DSI. Mars: Red and Dead? On Sunday 8th April, Professor Sanjeev Gupta, a DSI Fellow, was featured on the BBC 4 TV programme "The Sky at Night". Filmed at DSI Observatory, Professor Gupta talked about the latest results from Nasa's Curiosity Mars Rover. The programme is available to watch in the UK on the BBC 4 website. Check out our latest uploads on the DSI Youtube Channel featuring interviews, seminars and lectures. Take a look at our previous news from the past few years. The DSI will be working with Professor Sanjeev Gupta from the Department of Earth Science and Engineering by helping their involvement in the exploration of Mars and the preparation for the ExoMars Rover mission run by the European Space Agency. Using the Data Observatory, the overall goal is to enhance the capabilities of the ExoMars rover Panoramic Camera (PanCam) and for the development of collaborative research with industry in geo-visualisation for application to planetary exploration. The project will be characterizing geological outcrops on Mars in three dimensions and identify suitable rock targets for detailed investigation by the ExoMars rover instrument suite. IROP is a summer exchange programme offered jointly by the Massachusetts Institute of Technology and Imperial College London. Imperial undergraduate students spend eight weeks working on a research project under the supervision of faculty members at MIT. Two Imperial students will be studying at MIT during the summer and two MIT students will be coming to Imperial to study. Ioan Budea from Imperial will be supervised by Professor Sandy Pentland at MIT while researching privacy preserving data architecture. Thi Nguyen from Imperial will be supervised by Professor Iyad Rahwan at MIT while researching ethical uses of big data. Tim Troung from MIT will be supervised by Dr David Birch at the DSI while researching visualizing large scale mobile phone data on the DO. Lisa Mingxin Zhu from MIT will be supervised by Dr Yves-Alexandre de Montjoye at the DSI while researching algorithms for data re-identification. From 30-31st of March, we held a 3D Visualization Workshop within the DO. The focus of the workshop was to showcase new data and visualization toolkits being developed with Joanneum Research and VRVis as part of the ExoMars PanCam and Mars 2020 Mastcam-Z projects. There was a particular focus on data collected during, and associated with, the MURFI 2016 analogue rover. DSI's Kevin Allain and Dr David Birch supported Professor Gupta in running "virtual field-trip" sessions in the Data Observatory. As part of a collaboration with the Guildhall School of Music, the Data Science Institute hosted a one hour classical music concert in their visually stunning Data Observatory (DO) on 21 March. The Guildhall School of Music & Drama is one of the world's leading conservatoires and drama schools, as well as a global leader of creative and professional practice and promotes innovation, experiment and research. The goal of this music concert was to perform a pilot experiment on audience response to a professional classical musical performance within the Data Observatory. The audience was a mixture drawn from Imperial members of staff, with varied levels of experience with music and skills. During the concert, data was recorded on how musicians and audience members engage through the music playing at a brain level. Participants, both playing music and audience members, were given an EEG, brain tracking, cap to wear to process and track brain levels. Other participants who were not connected to an EEG, were given a questionnaire to fill out regarding their reactions. Hosted by Dr. Miguel Molina-Solana, his research partners and him will be processing these data in the upcoming months. Evolutionary biologist and Head of our Social and Cultural Analytics lab, Professor Armand Leroi, believes data science can transform the pop world. Asking the question, "Can algorithms find the secret to pop success? ", Armand and hit producer Trevor Horn try to take a song and turn it into a potential chart topper. Check out "The Secret Science of Pop", filmed inside the GDO, which is available to watch on the BBC4 website. Eden Bensaid from MIT supervised by Dr Yves-Alexandre working on visualising wifi data for privacy. 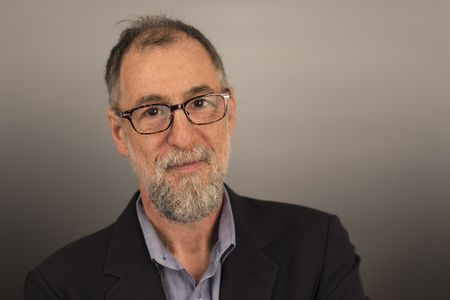 As part of the Data Science Institute Distinguished Speaker Series, Professor Paul Cohen from the University of Arizona gave a talk on the Defense Advanced Research Projects Agency's (DARPA) Big Mechanism program. During his talk, he discussed how the program planned to develop technology to help humans build causal, mechanistic models. He made a point to explain why cancer biology is a good challenge problem and how developments in big data allow this to happen. One of our research associates, now Dr. Vahid Elyasigomari, successfully completed his PhD in January. His research presented an investigation into gene expression profiling using microarray and next generation sequencing (NGS) datasets, in relation to multi-category diseases such as cancer. As a result, new methods were proposed to enhance the gene selection and the accuracy of cancer classification using optimisation based approaches. Furthermore, a new pipeline was proposed for the analysis of RNA-Seq data that includes pre-processing steps, and downstream analysis such as differential gene expression analysis and differential exon usage. Congratulations to him and to future success! Big data and open data hold tremendous promise. But the hype often ignores the difficulties and risks associated with this promise. Beginning with the observation that people want answers to questions, not simply data, statistician Professor David Hand explores some of the difficulties and risks which lie along the path to finding those answers, and examines how they may be overcome. 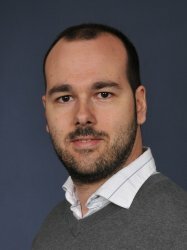 Dr. Miguel Molina-Solana, a DSI Research Associate, has been awarded a Marie Curie Fellowship. These fellowships support the mobility of experienced researchers through European Fellowships and Global Fellowships. Dr. Miguel Molina-Solana's research project proposes a novel and complementary approach to data interpretation by means of sound, and aims to address the scientific question of “Can sound be used for Data Science?”. Its results will be of relevance to identify patterns in real-time continuous data, and it will be tested in the context of real-time energy monitoring in a building. During his first visit to the Imperial campus earlier in June, Mr Koji Tsuruoka was welcomed at the DSI. During his visit, Dr. David Birch and Dr Ceire Costelloe presented to him a visualization on Antimicrobial Resistance on the GDO screens and he was impressed. We are pleased to announce that our Behavioural Analytics Lab (BAL) has been awarded grant funding. The NIHR BRC grant will allow the BAL to collect and analyse data using remote monitoring to detect on-set of complications during acute stroke recovery. This collaborative project between Dr Aldo Faisal (Director Behaviour Analytics Lab) with Dr Paul Bentley MD (Clinical Senior Lecturer and Honorary Consultant Neurologist within Centre for Restorative Neurosciences, Imperial College London) with data collection starting soon in Charing Cross Hospital. We are pleased to announce that a £3m partnership has been signed with HNA Group. We are pleased to announce the official research partnership between HNA and the DSI. HNA Group is a Chinese conglomerate and is affiliated with five core industries: aviation, holdings, capital, tourism and logistics. We welcomed Mr. Jian Wang, Mr. Ying Lu and Mr. Fu Tong from the HNA Group to the DSI to celebrate this new relationship between Imperial and the HNA. On this day, June 28, with the Duke of York as a witness, a contract was signed between HNA Innovation, HNA Economy Research Institute and Imperial College to establish the HNA Research Centre for Future Data Ecosystems. This centre will be the host of a 5-year research programme to 1) build the infrastructure for future data economy; 2) innovate and develop data capital and data products; and 3) research and apply technologies in artificial intelligence. We look forward to the research this collaboration will bring and making this a partnership! Check out the official news article here! December 14, 2016- The Behaviour Analytics Lab launched this week at the Data Science Institute. Lab directors Yike Guo and Aldo Faisal introduced the new lab to facilitate cross campus research collaborations in order to understand behaviour in a computational, or objective, way. Faisal opened the launch with a talk on how learning and understanding behaviour more will be beneficial to many areas, such as healthcare and business. Understanding human behaviour could lead to behavioural biomarkers, used for predicting how well two groups or two people will work together in a work environment or for rehabilitation purposes. He discussed two flagship projects to be worked on through the lab, as well as a seminar series which will start in the spring. One of the projects involved multi-Kinect tracking along the DSI walkway; the other called Life Centurion which involves giving 100 smart phones and 100 smart watches to 100 people for 100 days and tracking their movements. He stressed the transition from big data to big knowledge. The launch also welcomed four distinguished speakers: Mauricio Barahona, Paul Matthews, André Brown and Adam Hampshire. Each presented on how behaviour analytics could be beneficial to their field of study. Mauricio Barahona, from the Department of Mathematics, discussed graph theory for Twitter networks, flows, roles and directionality. Directionality of networks matters, especially in concern with social media. As social media is based around human behaviour, there is a lot of data able to be analysed. Paul Matthews, from the Department of Medicine, addressed behavioural and data science for precision medicine. With hopes to be able to anticipate asthma flares, calculating depression through how we move, and learning more about the interaction between how the patient feels how their body reacts, Matthews further showed the place behaviour analytics will have in medicine. André Brown from the Institute of Clinical Sciences presented his study on understanding animals/humans in natural environments, through his research on worms. As the wiring of their brains is known and they are easy to raise in labs, worms were given different compounds and tracked through images. Brown found that with a single gene change, the worms began clumping together. Although worms are small in scale to humans, it gives reason and stimulus for further research on behaviour. The last speaker was Adam Hampshire from the Computational, Cognitive and Clinical Neuroimaging Laboratory. He presented several studies regarding internet based cognitive testing and training. Using the internet, large scale populations can be tested and tracked, costing much less than other methods. In the few studies presented, the internet is shown as a key method to analysing behaviour in such ways as pharmaceutical trials and training cognition after traumatic brain injury. The launch was a great success and all feedback has been positive. Now, with the help of the Behaviour Analytics lab at the Data Science Institute, we have a forum for individuals and groups across campus to work on our issues concerning behaviour analytics together. Earlier today, the Agence Française de Développement (AFD) announced that it was going to support the development of the OPAL (OPen ALgorithms) project. A partnership between Imperial's Data Science Institute, the MIT Media Lab, Orange, and the World Economic Forum, OPAL aims to develop software and open algorithms to safely use mobile phone data for public good in developing countries. The announcement was made at the Open Government Partnership Summit in Paris by AFD's Deputy CEO Jérémie Pellet and is part of the "Paris Declaration on Open Government" which will be submitted for signature to the 70 participating countries. 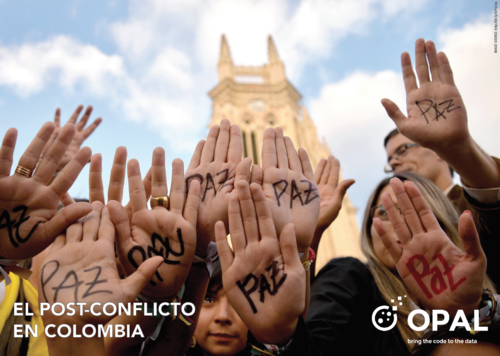 (Open Governement Partnership). operators firewalls and be accessible through auditable APIs. The platform will be piloted in 2018 in Senegal with Sonatel and inColombia with Telefónica, unleashing the power of big data held by private companies for the public good in a privacy-conscientious manner. This week we were lucky to have Imperial Vice-Provost Nick Jennings hold a lecture on Human-Agent Collectives. Data and computation is changing the way we work with computers- humans and software agents working together to fulfill their individual and collective goals. These human-agent collectives (HACs) have the potential to help meet societal challenges of "sustainability, inclusion and safety". During his talk he explored the science needed to understand, build and apply these collectives with real-world applications, such as the smart grid, disaster response and citizen science. There are four key aspects in creating this Human-Agent Collective: flexible autonomy, agile teaming, incentive engineering and accountable information infrastructure. He urged at the importance of bringing digital and physicals worlds into one place. Check out more about the lecture here. As a Friends of Imperial event, the Data Science Institute gave a behind-the-scenes look into the Data Observatory on September 28. The head of the DSI, Professor Yike Guo, gave a great presentation on the immense data processing capacity of the GDO and the importance of big data and visualization to research. Check out the Data Science Institute featured in The Guardian news article about the importance of big data and deep learning. The NIHR Imperial Biomedical Research Centre (BRC) is a partnership between Imperial College Healthcare NHS Trust and Imperial College London. The BRC is structured into 8 Research Themes and 4 Cross-Cutting Themes, reflecting the breadth and quality of research undertaken on the five Imperial sites. The BRC undertakes translational, experimental medicine research – taking discoveries from basic laboratory science and facilitating their translation quickly and efficiently into clinical settings, delivering improved health outcomes for our patients. NIHR Imperial Biomedical Research Centre received the BRC award, along with the help of the GDO in the video. Check it out more about the 90 million pound award for biomedical research granted to them and more here. President Gast and European Commissioner Carlos Moedas visited the Imperial Campus earlier this week. They stopped by the DSI to see the research underway at the institute. Read about the visit here. Since the opening of the Data Science Institute, we have had one professor in our midst supervising PHD candidates and heading the DSI, Professor Yike Guo. As we continue to grow as a research institute, we have warmly welcomed Yves-Alexandre de Montjoye as a new assistant professor to the DSI. 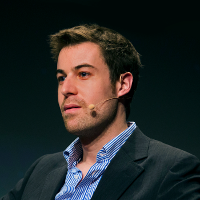 In addition to being an assistant professor here at Imperial College, he is a research scientist at the MIT Media Lab, and a postdoctoral researcher at Harvard IQSS. Over a period of 6 years, he obtained an M.Sc. from Louvain in Applied Mathematics, a M.Sc. (Centralien) from Ecole Centrale Paris, a M.Sc. from KULeuven in Mathematical Engineering as well as his B.Sc. in engineering at Louvain. His research aims at understanding how the unicity of human behavior impacts the privacy of individuals--through re-identification or inference--in large-scale metadata datasets such as mobile phone, credit cards, or browsing data. Yves-Alexandre was recently named an Innovator under 35 for Belgium (TR35). [To read more about his prior history and work, click here]. He recently wrote a white paper for Brookings on the use and privacy metadata as well as op-eds for the World Economic Forum, Christian Science Monitor, and Le Monde. Taking a permanent place at the DSI in January 2017, he will be heading his own research group alongside the group already present under Professor Guo. This will further influence the research we are able to conduct and the expansion of collaborations and partnerships. We are honored to have such a strong minded, intelligent and innovative mind to welcome our team. BBC Panorama film an experiment designed to reveal how the brain of a person addicted to gambling differs from that of others, featuring the Data Observatory here at the DSI. Click here to watch from the BBC website. Read our new blog here. Part of the interview is below. Before departing the DSI for the data-driven community of Silicon Valley in California, Dr. Lei Nie sat down to discuss his research interests and his paper concerning brain networks. He will be missed here at DSI and much luck in the future! Click here for more on Lei Nie. - What was your research focus before writing this paper? Before this area of research, I was mostly focused on biological network inference. Inferring protein networks then directed my focus to brain networks. A network, in a simple way, is defined as several nodes and connections between the nodes. For most networks, nodes are well defined. For example, in a protein network, a node is defined as a specific protein; the connections are the interactions between the proteins. When my research began to focus on the brain networks, I found that the brain networks are different. The definitions of nodes are unclear in brain networks. For example, a node could be a neuro or a piece of tissues or a brain region. They vary in size and other properties. I wanted to find a proper way to define the nodes of brain networks. In most previous work, the nodes of a brain network are defined using brain parcellations. A brain parcellation is to divide a brain into several regions focusing on specific functions. A node abstracts a brain region and a connection models the relationship between two brain regions. In most previous studies for brain networks, brain parcellations are fixed across all subjects. Every subject is assumed to have identical parcellations. Recent studies show this is not true, parcellations vary across subjects. If you assume all are exactly the same, it will introduce extra noises when analyzing the brain networks. I wanted to design a method to infer the individual variations of the brain parcellations. Check out the events page here. A visiting professor from Mississippi State University, Roger King, was welcomed to the Data Science Institute earlier this week. 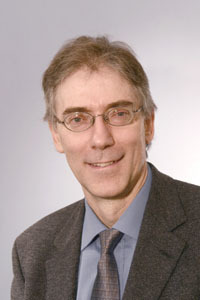 Dr. Roger Lee King is the Executive Director of the Institute for Computational Research in Engineering and Science (ICRES) and a Giles Distinguished professor. While visiting, he was introduced to how the institute works, as well as was given a presentation inside of the Global Data Observatory. Our very own,Professor Yike Guo, explains how the shift in China towards digital payment tools is providing insights into customer behaviour in the country. To read further about Big Data's role in the Chinese economy and how the DSI is helping, please read here. Earlier this year, the Agence Française de Développement announced that it was going to support the development of the OPAL (OPen ALgorithms) project- which is a partnership between Imperial's Data science Institute, the MIT Media Lab, Orange, and the World Economic Forum. The funding for the project has been put into use as it starts to help open up data in Senegal and Columbia.On 29 June, work for the OPAL project officially started in Columbia. Join the project yourself and apply as a tech lead! Earlier this week, Imperial College welcomed the top 25 hospitals CEOs from China Ministry of Health Visit to discuss advanced hospital quality management in the big data era. This collaboration of the medical/health sector with big data comes with the intentions of enhancing and improving hospital quality management through the massive amount of data gathered within these sectors. During their visit to the Data Science Institute, they were presented with examples from research projects in data science applied to the medical and healthcare sectors that are already underway at the DSI. Please take a look at our new blog featuring our new series on the publications our researchers are working on/have worked on. To view this blog please click here. The series is called Data Scientists Uncovered. Our first video introduces Axel Oehmichen and can be viewed on our Youtube channel as well as the blog. Earlier this month, Central Bank Governors from all over the world gathered for the 5th Central Bank Governors' Think Tanking. With a focus on Smart Partnership Adaptive Flexibility Approaches in the Digital Age, Governors addressed financial inclusion issues, as well as some of the technological and digital disruptions likely to bring both opportunities and challenges for developed and developing countries alike. Welcomed into the Data Science Institute, Professor David Hand and Mr Dominic McDonagh gave special insights into data science and central banks as data users, presented in the GDO. To read more about the Think Tanking event, please click here. Sir Michael Uren, who's made his mark at Imperial with his donation and opening of the Michael Uren Biomedical Engineering Hub, stopped by the Data Observatory during his trip to Imperial College. The centre houses life-changing research into new and affordable medical technology, helping people affected by a diverse range of medical conditions. To check out his presence at Imperial College, click here.